Devoran Metals support local charity BF Adventure - Devoran Garden Gabions Ltd.
As a Cornish business, Devoran Metals is always happy to help out local businesses and charities. In July 2014 we were approached by Penryn based charity BF Adventure as they started the build for a brand new kitchen block in the middle of their beautiful 60 acre site. 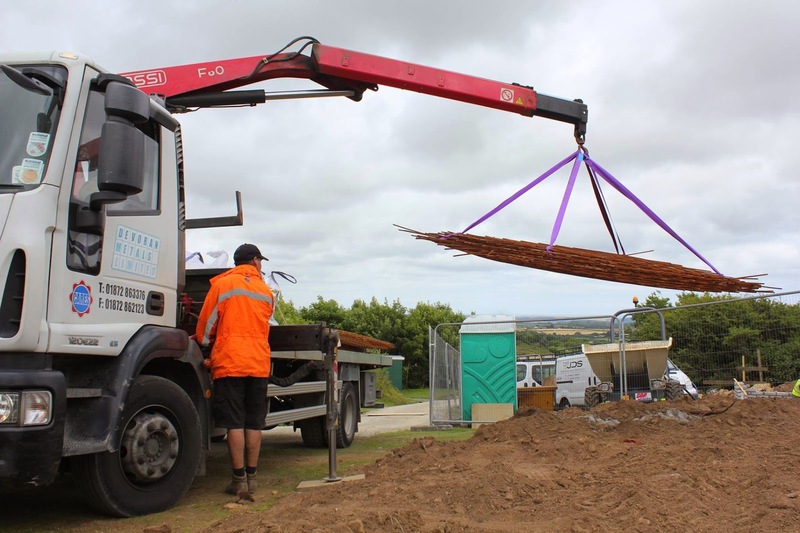 All materials for the build are being supplied by donation, and Devoran Metals were more than happy to donate all the reinforcing mesh for the ground works. BF Adventure are a fantastic charity who help hundreds of disadvantaged and disabled children and adults across Cornwall every year. “As part of our many focused programmes which support disadvantaged and disabled young people and adults we focus upon life skills starting with the basics of looking after ones-self, making a hot drink, washing up, washing clothes and preparing a meal. We wish BF Adventures every success with the build and am sure that the new kitchen will be a brilliant and inspiring asset for the charity and all its members! !